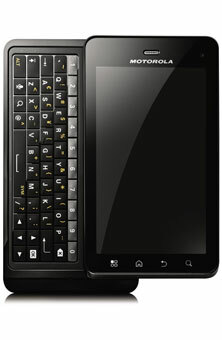 Motorola XT860 is a new Dual-core Android phone which has just added by Bell in its android phone’s offering. The phone is designed with five-row QWERTY keyboard that’s mean you are free to type the message in a comfortable manner. A 4.0 inch qHD display lets you to enjoy a user-friendly interface on it. It is GSM only version of DROID 3. It is on sale at Bell right now. If you want to avoid any contract then you need to spend $549.95 however you may get it just for $99.95 by signing a three-year contract.